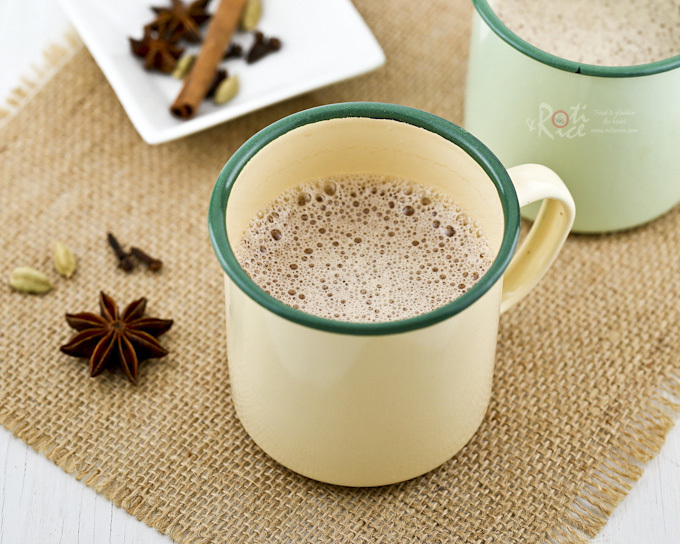 For a long time chai was confined to the Indian sub continent and people who have come into contact with its tea drinking culture. Today, thanks to large beverage chains, it has become increasingly popular. The appended word latte has even catapulted it to the trendy status. Back in Malaysia, I do not remember having tasted masala chai. The popular tea drinks are teh tarik (pulled tea) and Teh Halia (Ginger Tea). These frothy condensed milk sweetened teas are a must try when you visit. Even if it is not the tea itself, a trip to the Indian coffee shop is well worth your effort. The sight of the vendor “pulling” your tea is something to behold. 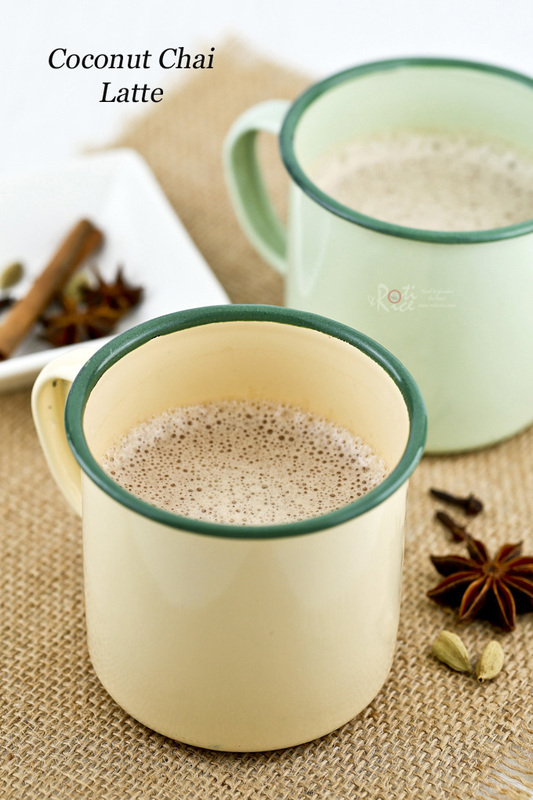 The inspiration for today’s Coconut Chai Latte came from a recent visit to a fusion Indian restaurant here in Minneapolis. This creamy spice infused tea goes well with strongly flavored dishes and takes only minutes to prepare. All you need are some teabags, spices, sugar, and coconut milk. Do give it a try. 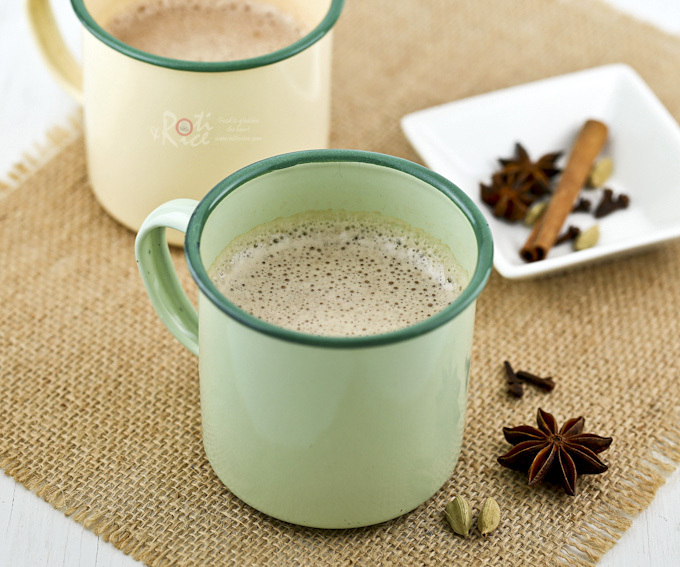 Combine 2 cups (480ml) water with cinnamon stick, star anise, cloves, and cardamom pods in a saucepan. Bring to a boil, reduce heat, and allow it to simmer for at least 5 minutes. The longer you simmer, the stronger the flavor of the spices. 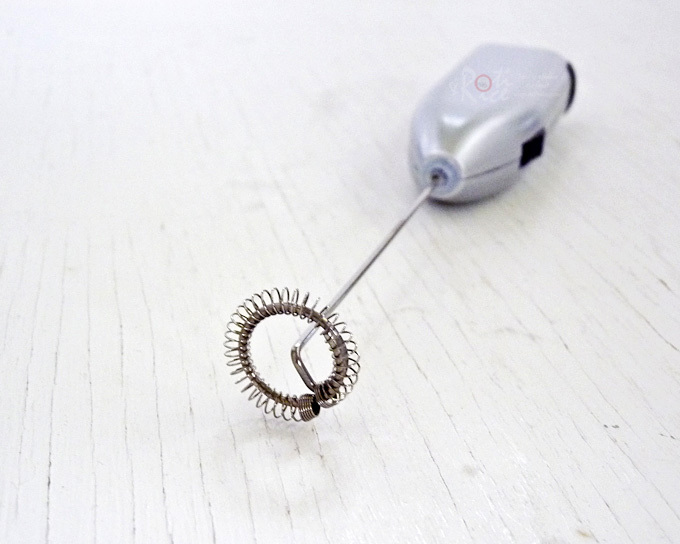 Turn off the stove and remove saucepan. Drop in the teabags and allow them to steep for 5 minutes. In the meantime, bring coconut milk and sugar in a small saucepan over medium low heat to a bare simmer. Stir to dissolve sugar. Remove. When tea is ready, remove teabags and cinnamon stick. Strain the tea into 2 mugs. Froth or whisk coconut milk for a few seconds or until frothy. Immediately pour frothy coconut milk into each of the mugs with tea. This looks not only comforting and delicious; I bet it is healthy too.